YYZ to NBO: Why luring start-ups to Nairobi is a good thing. Josh Erratt’s article in Now Magazine focuses on how technical start-ups from Canada can connect with the Canadian Government and the SFO technical community. For years I, too, yearned for the opportunity to work in Silicon Valley. Employed with Internet organizations since 2000 (backbone to registrar = OSI career), my first Internet access was via Carleton University’s Freenet in 1992 and I created my first website in 1995 at library school. SFO has been completely entrenched throughout my career as the tech golden bridge. When the Dot Com busted in 2001, I held on hope for a career in Internet and to someday work in SFO. With one foot in communications and one in technology as a Technical Incident Communications Lead, I began to apply to the big organizations who had their own data centers and technical crisis communication teams. The 280 is a beautiful drive, dinner in Chinatown (amazing), gazing at the Bay Bridge is awesome and attending events with Internet leaders is thought-provoking. There is no doubt that SFO is worth visiting and, perhaps, heeding the call to move your start-up there. To be honest, how anyone gets work down with those views is beyond me! Now, these aspirations seem so myopic. The explosion of great technology worldwide shows that it is time to rethink “location plus Internet” start-ups and your career. 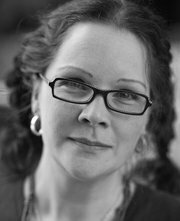 Digital activism and volunteering after the Haiti earthquake took me on a journey into other global ecosystems. Random Hacks of Kindness (RHOK), a global hackathon which I have lead in a few cities, takes place in Internet hubs around the world. By participating, I’ve had the opportunity to collaborate with Internet leaders and various start-ups. Learning about their technical communities is inspiring. But, one does not need to look only to hackathons to see where the pulse is. Read the economic reports about the rise of mobile and beyond the BRIC to emerging economies. Nairobi, Kenya’s technical community is red-hot. Disclosure: I work for Ushahidi, a Nairobi-based start-up. The ihub is brimming with start-ups, events, bright savvy entrepreneurs and amazing ideas. 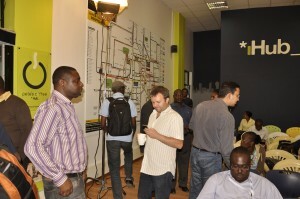 Every time I go to the Ihub, I am overwhelmed by the pulse of start-ups, collaboration, and new technology. What if your Internet start-up …. Some of the brightest Internet minds and start-ups are based in Toronto. I work for a global dispersed team and have one foot in Kenya and one in Canada. While I cannot speak directly to what it takes to be a start-up, I am left with more questions? Why not Toronto and why can’t the ecosystem be changed here to keep our best and brightest here? Why recreate the beaten path to SFO? The technical spirit of “doing” and “innovation” is happening around the world. There are mountains of technical and start-ups hubs worldwide. I encourage you to think beyond SFO to build your start-up or your Internet career. Buy a plane ticket to NBO or Malaysia.